I have a strange story about how I stumbled upon Portraiture. But I am glad I did – and now I will use it all the time! First, before I get started, you can go ahead and download a trial in the background. If you decide to buy it, you can use the Portraiture Coupon Code of “STUCKINCUSTOMS” to get 10% off. As with all things now adays, it comes in two flavors: Portraiture for Windows or Portraiture for the Mac. So what is this story of discovery? Well, some of you might have seen my HDR Tutorial. That’s kind of my bread and butter, although I also very much enjoy taking photos of people, models, kids, and the like. 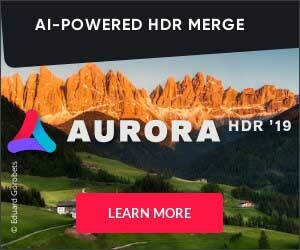 One of the problems with HDR is excessive noise, and I have ended up using a program called Noiseware to reduce the noise (Noiseware Review here). Anyway, Noiseware is made by a company called Imagenomic, and they sent me their other product too called Portraiture, but I had never tried it. It’s a plugin for Photoshop and I never got around to trying it until just recently. I was invited to some exclusive party with a bunch of models here in central Texas. I was picturing that party from Seinfeld when George Costanza had that little cut out from a magazine. Anyway, it was nothing like that. It started with a little road trip with me, Janus Anderson, Kevin Gliner, and Christopher Ferguson (I linked there to their ports in case you are a model looking for a good photographer). These three guys are great photographers and they shoot models all the time. It was an extremely geeky road trip and we spent the whole time talking about lenses and software. They kept telling me how great Portraiture was! This was impressive to me, since I was kind of an old-school guy I guess. I would clean up skin on models and use various techniques that were manual and fairly intensive. But I’m pretty open-minded and always willing to try new things, so I’ve spent a lot of time really trying out Portraiture. And now I love it! I can’t imagine going back to the old way of doing it! It’s very easy to use. For those of you that are scared by sliders and settings — there is no need! Just use the default then click OK! Saves me many hours of time. The dropdowns have excellent default setups to produce interesting looks. It gives an edge over other photographers that don’t have this software. The company’s website has excellent video tutorials. The guy that talks over them sounds just like Tim Calhoun from SNL, but he is still informative. So, below I have put several shots, showing off how cool Portraiture is. Let’s keep in mind that this model already had great skin. Must be nice, eh? But this software also looks great for everyone else in the real world who isn’t 18. That reminds me, I need to try this software on myself. I’m 37 now. I can see what I looked like back when I was 36. Here is how she started. I lit her with my studio lights to the left and right in front of her, umbrellas reversed. No worries… I won’t go into all that… it’s nerdy lighting stuff. The initial pic isn’t too bad, eh? Let’s face it. She’s not an ugly girl. Of course, I’m not zoomed into 100%, but you will see some of that zoom in the other screenshots below. Below this, you will see the “Default” setting of Portraiture. You can see the original on the left and the better one on the right. It’s already good! This program is very easy to use. And, for people that are scared to move sliders around and stuff, you don’t have to! Just click OK and you’ll be done. This is the same default setting below, just showing a different part of the face. Below, you can see an example of what the setting for “Smoothing: High” looks like. To me, it’s a little too much. If you are one of those cheesy photographers that has to work in the mall, I feel really sorry for you. But, on the plus side, you can use this setting to make all those little mall girls look like they are radioactive. I think I have just said very mean things about photographers in malls and people that get their photos taken in malls. But there, I said it. And, to those photographers stuck in malls, you gotta get outta there man. Comon… you are better than that… get a job doing something else to make money, and keep the photography fun and light. Why am I even talking about this stuff in the middle of software review? I don’t know. It’s because I’m not very good at writing reviews. Now, below is kind of an interesting setting from the dropdown. It’s called “Enhance: Glamour”. It made her look kind of detaurated and glowing like she might be in Versace ad in a train station. Cool! Below are the settings I finally settled on. I dialed back the Detail: Smoothing a little bit. I like to see the pores so that she doesn’t look too plastic. I also enhanced the contrast and warmth just a tad. Those bright studio lights of mine resulted in pulling a bit of warmth out, and I wanted that to go back into her skin. And below is the final shot.